TORONTO -- Canada is open to doing more business with China now that a trading agreement with the United States and Mexico has been finalized, says Prime Minister Justin Trudeau. "We will continue to look (at increasing trade), but we will continue to do it in the way Canada always has, mindful of the challenges, both of scale and of different approaches to business, in a way that is thoughtful about drawing benefit and protections for Canada." The prime minister noted that Canadian officials have been working over the past year to grow trade relations with China. He said that under the newly agreed U.S.-Mexico-Canada Agreement (USMCA), all three countries now need to notify their trading partners if they engage in trade talks with any "non-market economies", including China. But he noted that the "reciprocal" clause does not stop Canada from doing business with whom it pleases. China has openly criticized Section 32.10 of the new USMCA, arguing that it is an attempt by the U.S. to thwart its trading relationships with Canada and Mexico. The White House is currently involved in a trade war with China and has slapped tariffs on hundreds of billions of dollars worth of Chinese goods, prompting retaliation from Beijing. 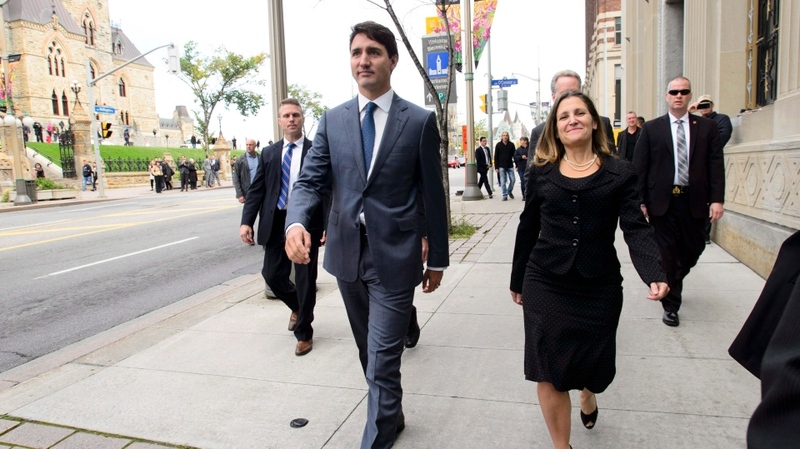 In an interview on the stage at the start of the three-day conference, he described a tumultuous, and at times, testy negotiation process to get USMCA inked. "I think what people will remember is where we ended up," he told a crowded room of Canadian and international business leaders. "In negotiations, people have different styles in their approach. We focused on staying constructive, thoughtful, present, at the table, patient." Trudeau said many had doubts about whether his government was going to be able to finalize the trade deal, which he touted as having reduced uncertainty for the Canadian economy. "We have secured access to the U.S. market, quite frankly, at a time when a lot of investors that I have talked to around the world were wondering if we would be able to secure that," he said. "Obviously, the U.S. is going through, as it does from time to time, a bit of a protectionist phase and being able to ensure that investments in Canada will continue to have preferential access to the extraordinary market that is the United States is a big and important thing." Earlier this month, Ottawa announced that it had reached an 11th-hour deal with the United States and Mexico to modernize the North American Free Trade Agreement. 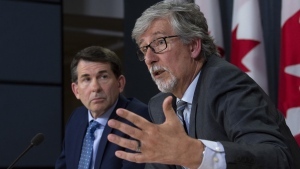 The trilateral pact, which still faces hurdles in implementation, is anticipated to protect billions of dollars of daily trade and support millions of Canadian jobs.